Epay Product Files Download Right click on the required link and select Save As to download the required file. Below are instructions on how to download and process the EPay Product Config file. 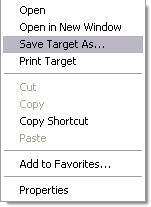 Right click 'Download Product Config CSV File' and select 'Save Link As...' or 'Save Target As...' depending on your Internet Browser. Repeat steps 1 and 2 for the 'Download logos File' link. Open Convenience, click the Tools button, then the EPay Maintenance button. When the process is complete, click 'Close'. From the main Convenience menu, click 'Inventory' and 'Send Prices to Tills'.